It’s Friday, which means another edition of Flashback Friday is among us. For this week’s version of Flashback Friday, we decided to help out aspiring mobile kitchen owners in terms of choosing the right truck for their business. Therefore, we are going all the way back to April 30, 2014 for this amazing article that was published right here at FoodTruckr: How to Start a Food Truck 15B: Choose the Right Truck for Your Business. 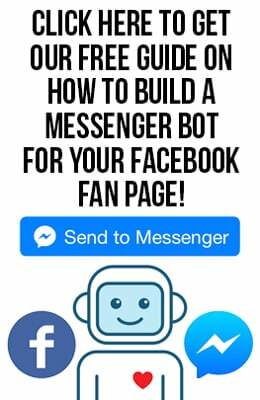 If you are new to the industry or know someone who is trying to join, then make sure to pass along this information, or take it to heart, of course. Just like with previous Flashback Friday articles, we will providing a preview of the article below as well as the link so you can read the entire thing. We know how serious you are about starting a food truck—but are you ready to show the rest of the world? If so, there’s one decisive action you can take that makes your commitment to this dream evident: buying or leasing your very first truck. In last week’s post, we showed you where to find food trucks for sale and explained the differences between new trucks, used trucks, and leased trucks. It’s so important to choose a food truck that will support your business goals and allow you to make progress toward achieving your dreams—and last week’s lesson and today’s lesson are designed to help you find the absolute best food truck for your business. Today, we’ll cover more information on the equipment and essentials you need to get out on the road. 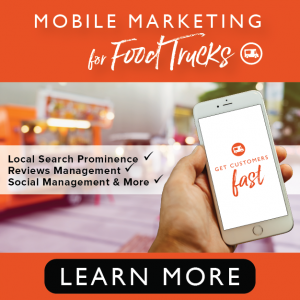 Though we usually talk about food trucks specifically here on FoodTruckr, our site is really a resource for everyone in the mobile food industry. Many of our favorite FoodTruckrs don’t even own food trucks—they’re operating from carts or trailers. Which type of street food vehicle is the most effective way to sell your famous Philly cheesesteaks or organic hummus? While the vehicle you choose will be largely dependent on the local laws in your city, it’s still helpful to understand the benefits that trucks, carts, and trailers have to offer. Food Trucks: If you find someone selling gourmet burgers and brats or fresh salads with fruit-inspired dressings on the side of the road, chances are good that the vendor is working out of a food truck. Many mobile restaurant owners go for food trucks because trucks offer plenty of space and lots of flexibility. Typically ranging in size from 14 feet to 34 feet, food trucks have room for the operators to cook and serve onboard the vehicle itself. Though you may still be required to prepare and store your food at a commissary, food trucks offer many aspiring street food vendors the perfect way to serve their tastiest creations. Food Carts: If you’re interested in something a little smaller and easier to manage, a food cart could be right for you. Food carts are small and simple—just attach the cart to another vehicle and tow it to your selling destination. Some FoodTruckrs start out with food carts because they cost less and may be easier to manage. However, you should be sure that you’ll be comfortable serving from a small space. Food carts also cost less to maintain and may require less cleaning and care, but they don’t allow you to serve as much food at once and may not be as noticeable as a larger vehicle to people passing by on the street. Food Trailers: In some ways, food trailers are similar to food carts—they don’t move on their own, so you’ll need to tow them with another, larger vehicle. However, food trailers are more comparable in size to food trucks. A food trailer generally has plenty of room inside for a good-sized kitchen and storage space for ingredients. With a food trailer, you’ll be capable of serving large crowds of hungry fans. 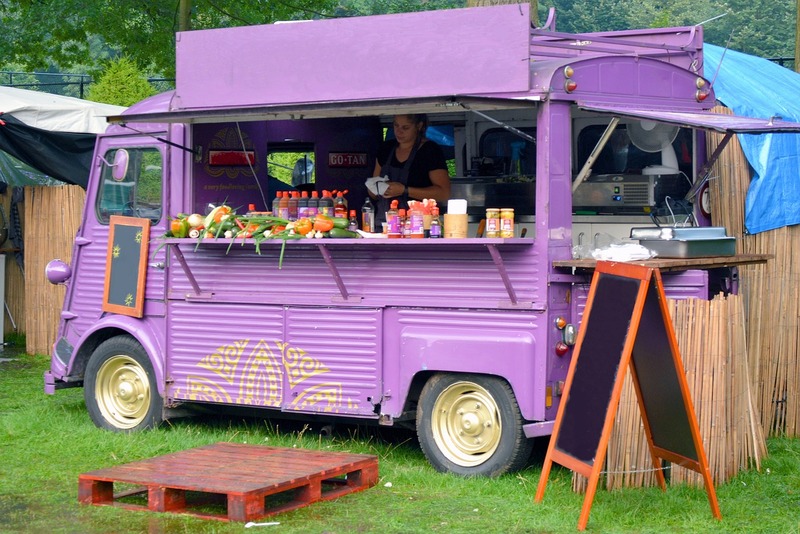 Keep in mind that if you opt for a food cart or food trailer, you’ll need to ensure that your vehicle has sufficient towing capacity. Simply adding a trailer hitch to your two-door coupe won’t cut it. Ask your dealer what your car or truck can handle. There is so much more invaluable information from this article that wasn’t previewed above, so make sure to read the entire piece here.